This post is sponsored by Aiya America, who likes to encourage my love of seasonal baked goods. 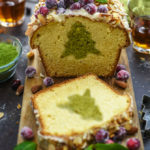 Because come on, with all of the grinchy, piney, mistletoey color around this time of the year, who wouldn’t love a little green in their Christmas dessert? This winter, can we take some time to celebrate the fact that, as adults, we can still shape our food like our favorite things? Let’s all breathe a collective sigh of relief that that joy didn’t end with dinosaur nuggets and cartoon character mac & cheese. I’m 26 and I can play with my food without judgement, hooray! In fact, sometimes making my food into cool shapes winds up looking downright elegant. 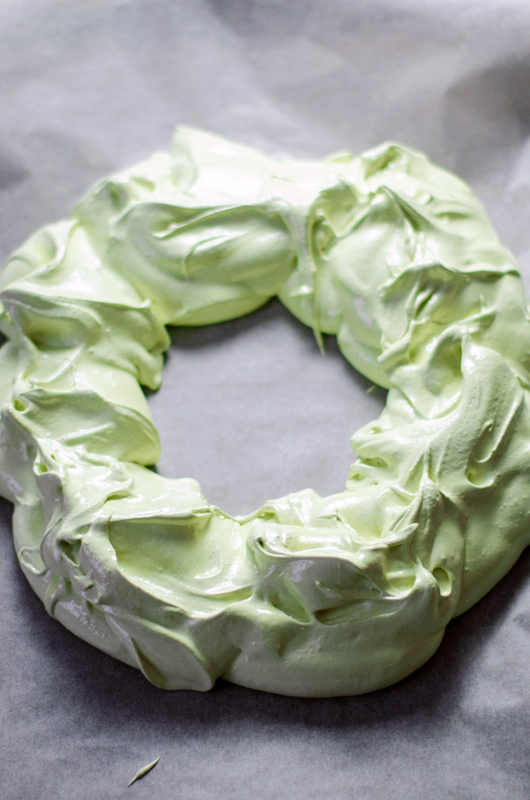 Take, for example, this Matcha Christmas Wreath Pavlova. If you’re thinking, “Well, I know what half of those words mean,” not to worry. I got you. Matcha is a specially grown and ground Japanese green tea powder. 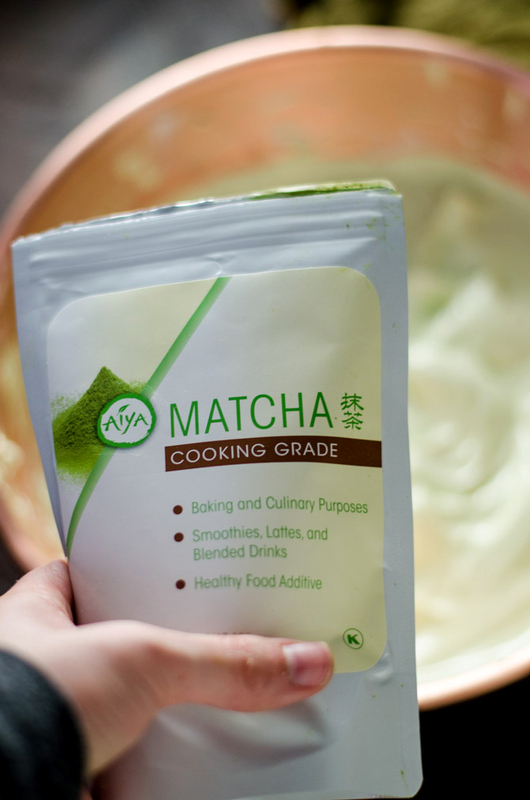 Quality matcha, such as Aiya America’s matcha powder, tastes smooth, sweet, earthy, and slightly, pleasantly bitter. 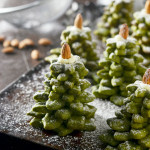 It often makes baked goods take on a natural, pale greenish hue, as you can see here or in my Matcha Cookie Christmas Tree Stacks from last year. No food dye necessary! It’s this fact that inspired me to make a wreath, because if I’ve already got a green dessert, I might as well go all out and really have fun with it! And trust me, this was SO fun. 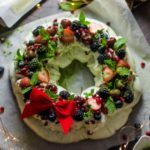 Being honest, I wasn’t even completely sure what a pavlova was until I made this Matcha Christmas Wreath Pavlova. I’ve see them around the web and on some British baking shows, but they’re just not very popular in the United States. Why, I have no idea, because now that I’ve tried one I can tell you that they are incredible. Pavlova is a meringue dessert, the outside of the which is crisp and cracks slightly when cut to expose a super soft, marshmallowy interior. 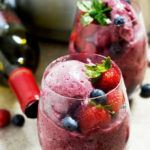 Especially when topped with sweet whipped cream and fresh berries, they are absolutely stunning. Not to mention, they take surprisingly little effort. This is the type of dessert you want to make if you’re aiming to impress your friends with a totally from-scratch dessert, while also doing the least work possible. Don’t believe me? Here’s how simple it was to make this wreath-shaped beauty. 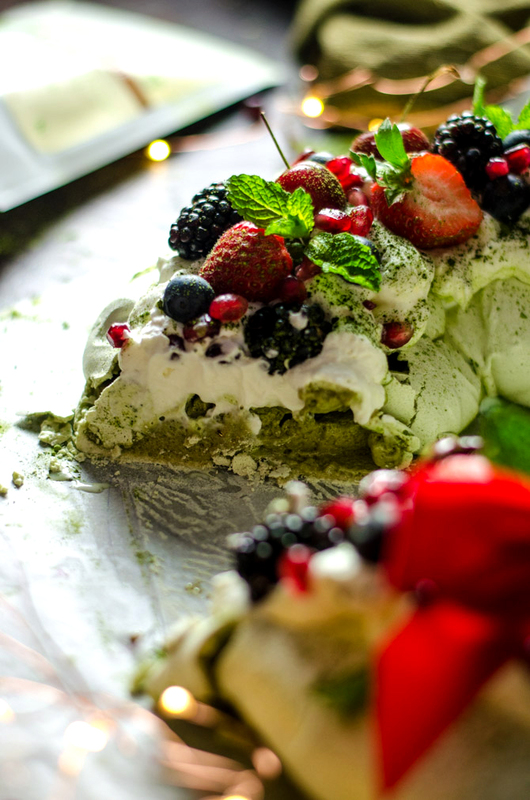 Like all meringue desserts, this Matcha Christmas Wreath Pavlova relies on whipped egg whites. I started off by whipping egg whites with a hand mixer until they formed stiff peaks. This step incorporates air bubbles into the egg whites, which makes the finished pavlova light and fluffy. It might take a while for your egg whites to reach stiff peaks (which you can check for by removing the beater from the egg whites and seeing if the peaks stand straight up), so don’t be nervous if you find that you’ve got to mix for a while. You can speed up the process by using eggs that have stood at room temperature for 30 minutes rather than using cold eggs– they will beat up much higher much faster! Once the eggs whites were ready, I beat in granulated sugar, lemon juice, and vanilla extract. These helped to flavor the pavlova and make it sturdier. Then I beat in cornstarch and matcha powder, again using my hand mixer. 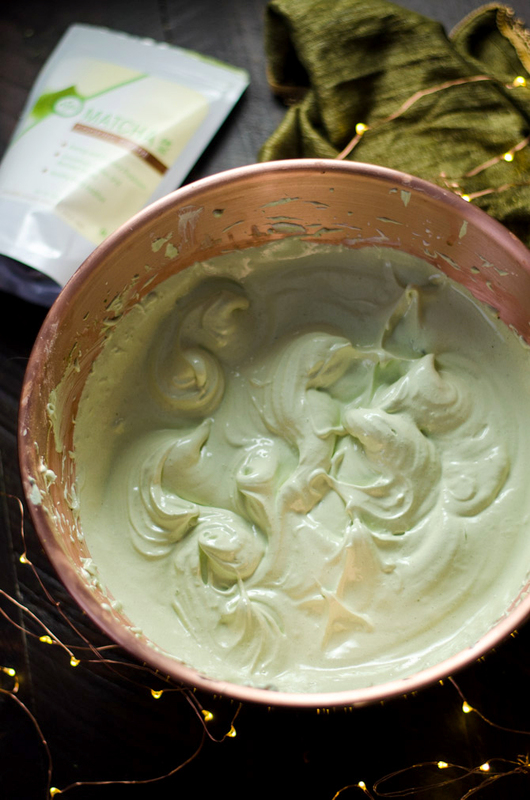 The matcha made the mixture a light green color, and the cornstarch helped it to hold its shape. And that’s all you’ve got to do for making the meringue base. Next, I turned over a mixing bowl on top of a sheet of parchment paper and traced around the outside to form a large circle. I took a much smaller bowl and placed it in the center of the larger circle, and then traced that as well to give myself a guide for the wreath shape. You can use a medium-sized mixing bowl for the outside and the lid of one of those wonton soup plastic containers for the inside if you don’t have a super small bowl like I used. You can also just nix this step altogether if you’re good at eyeing things. I’m not. I then spooned the meringue mixture between the two circles and then immediately transferred it to the oven to bake. 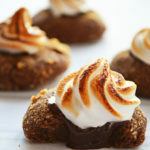 You want to make sure you do this quickly so that the meringue doesn’t deflate or spread too much, as it tends to do if you let it sit for too long. I also let the pavlova cool in the oven after it was finished baking. 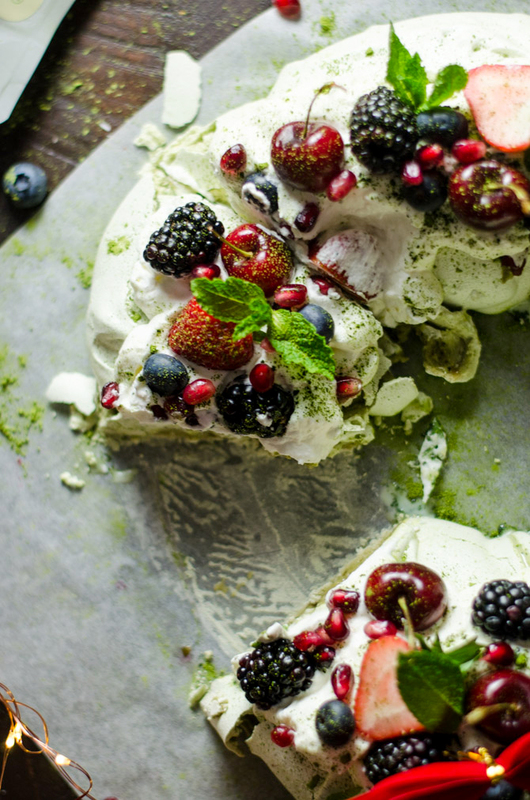 Though the pavlova is clearly easy to make, it does require a bit of patience because you want to take your time allowing it to cool so that it will set properly. If you notice any little cracks in your pavlova, don’t worry. This is par for the course. Plus, you’re going to top it with whipped cream and berries, anyway! Speaking of which, I made my own whipped cream using heavy cream and powdered sugar while I waited for the pavlova to cool. If you want to skip this step and use pre-made whipped cream, I won’t judge. However, this homemade whipped cream is creamier, holds up much better, and melts slower than store-bought whipped cream usually does. If you don’t mind spending the extra few minutes, it’s worth it, especially if you want to make your pavlova a bit in advance. 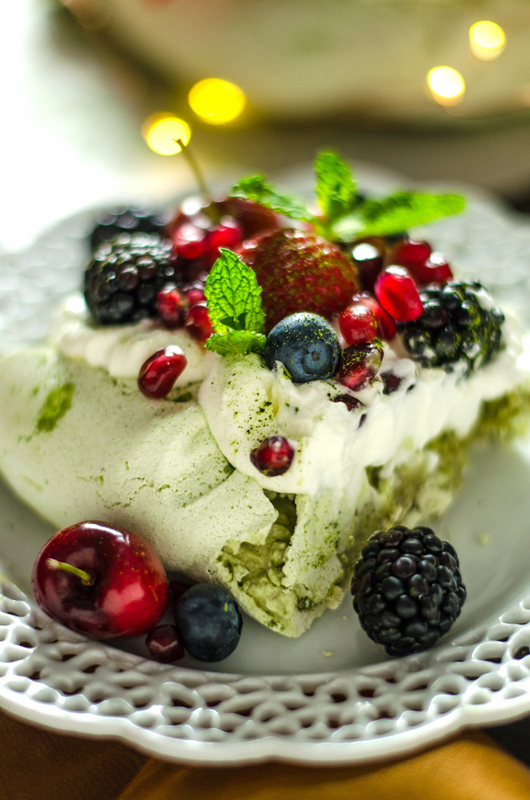 I dolloped the whipped cream on top of the cooled pavlova, placed cherries, blueberries, halved strawberries, blackberries, pomegranate seeds, and mint leaves on top, and then sprinkled additional matcha powder over it all. 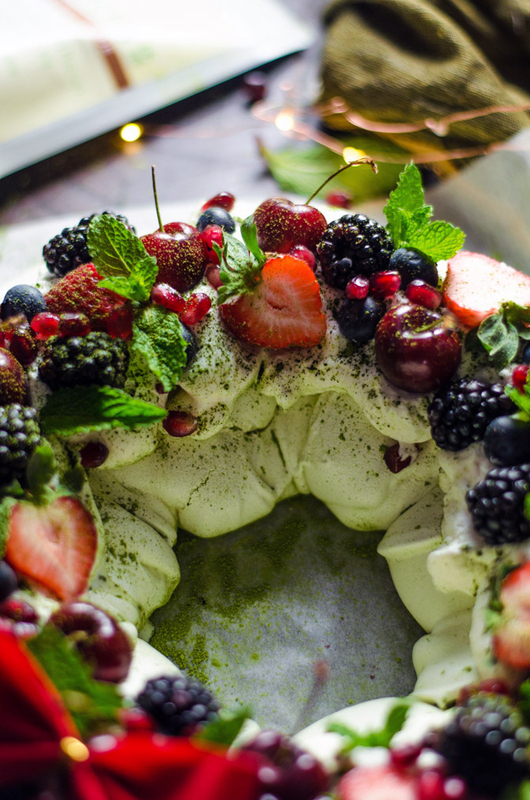 I added a little bow to mine, but if you want to leave it off, your Matcha Christmas Wreath Pavlova will still be gorgeous all the same. You can also use different berries if you prefer, but I found that all of these paired great with the flavor of the matcha. Plus, they looked lovely, don’t you think? It’s even nicer when you cut in and expose that soft, marshmallowy center I mentioned earlier. 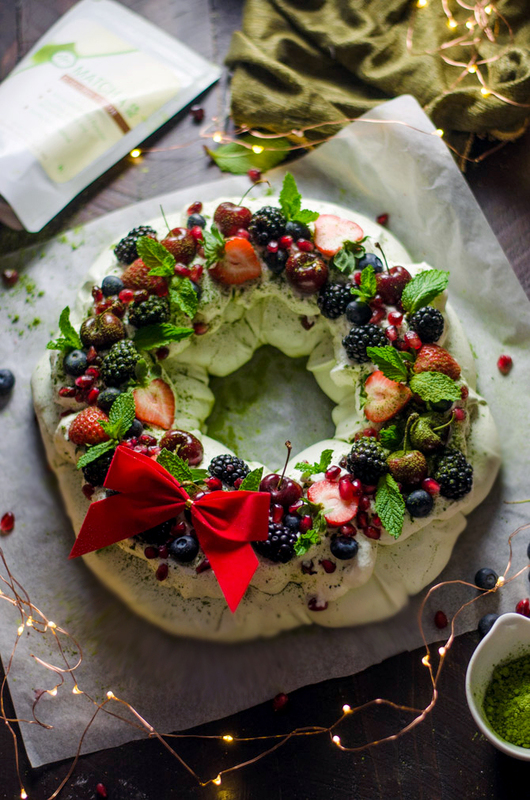 So go on and make matcha a part of your holiday celebration with this Matcha Christmas Wreath Pavlova. Don’t forget to take a picture and tag #hostthetoast on Instagram so you can show yours off. Let me know what you think of it in the caption– especially if it’s your first pavlova like this was for me. 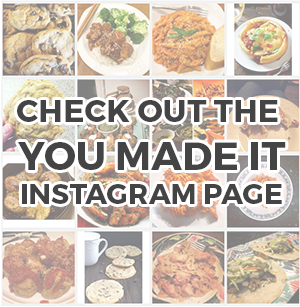 And enjoy this fun and fancy way to get artsy your food while you’re at it, of course! Preheat the oven to 400°F. Line a baking sheet with parchment paper. Flip a mixing bowl (preferably one that just fits on the baking sheet) over on the parchment paper and trace around the outside to draw a circle on the parchment paper. Place a small bowl or lid from a plastic container in the center of the larger circle and trace to create a wreath-shaped guide. Set aside. 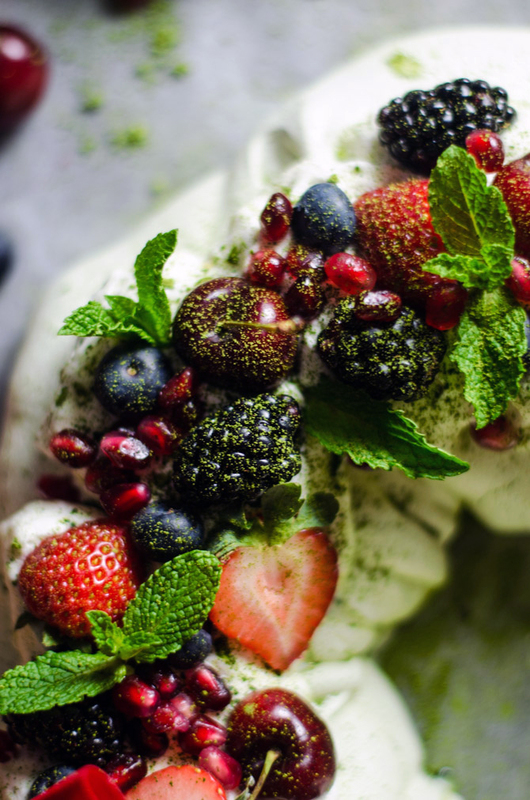 The colors of this pavlova are just stunning, it really highlights the beautiful green of the matcha! I agree that it definitely should become a more popular dessert in the U.S.